After cancelling events in the national capital, the Tibetan government-in-exile will now start pan-India "Thank You India" programmes. The president of the the Central Tibetan Administration (CTA), Lobsang Sangay, on Wednesday said his government-in-exile "doesn't want to cause inconvenience to host India". Speaking on cancelling of events planned by his administration, earlier in New Delhi, to mark the beginning of the 60th year of the Dalai Lama stepping on India soil, he told reporters in Dharamshala: "Whatever we do, we don't want to cause inconvenience to our hosts or to the persons who want to meet us." "They may have particular reasons as to why these coming months are sensitive. So, we completely understand and respect that. There is no disappointment at all but rather an understanding of the situation," he said. Lobsang Sangay was responding to a media query regarding a circular issued by the Indian government relating to the "Thank You India" events starting on March 31. Without mincing words, he said the government and people of India have done the most for Tibet. "Every year, in all the formal and non-formal events, we Tibetans always say thank you India. I think it's important that we also demonstrate our gratitude in deeds." "His Holiness the Dalai Lama calls himself a 'son of India'. So, we should be saying thank you a lot. Moreover, our relationship with India is like parent and children. Therefore, we want to thank India," he said. Amid the recent tensions with China, the Indian government was reported to have cautioned its senior officials last month to stay away from events aimed at marking the start of the Dalai Lama's 60th year of exile. After cancelling events in the national capital, the Tibetan government-in-exile will now start pan-India "Thank You India" programmes to mark the beginning of the 60th year of the Dalai Lama arriving in India. The Dalai Lama escaped from Tibet to India in March 1959. To mark the events, Lobsang Sangay on Wednesday released a "Thank you India" music video, performed and produced by artistes of the Tibetan Institute of Performing Arts, thanking India for its hospitality and assistance. Lobsang Sangay said the year-long events lined up as part of the campaign include a mass tree plantation drive to support a green India movement, participating in Yoga Day events organised by the government of India, distribution of food to the hungry and homeless and a mass cleanliness drive to observe the Indian government's Swachh Bharat initiative. Acknowledging the growing Chinese pressure on global leaders on the Tibet issue, Lobsang Sangay said: "Wherever I go, be it Europe, the US, the pressure is increasing." The CTA is organising a public event in Dharamshala to officially launch the "Thank You India" campaign on March 31. It will be one of the largest events ever organised by the Tibetans in Dharamsala and hundreds of guests are expected to attend, including Naren Das, a member of the first delegation that received the Dalai Lama when he first set foot on India. Tibetan spiritual leader the Dalai Lama will attend the event. 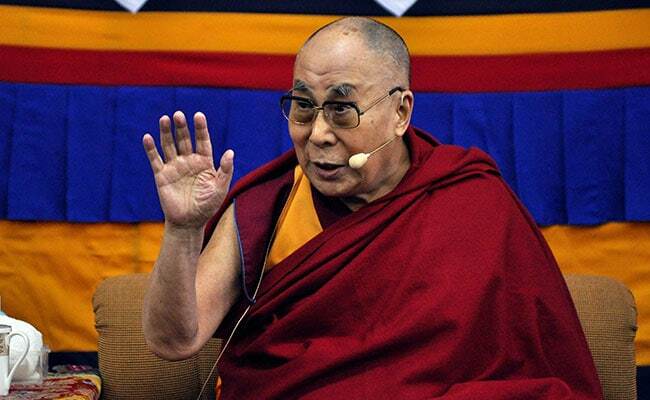 The Dalai Lama, in an interview to CNN News18, has said he "doesn't care about how Chinese pressure forced the cancellation of the events of the Tibetan government-in-exile in Delhi". He said it was more about "how you feel for Tibetans and how Tibetans feel for India". The Tibetan administration in exile is based in the north Indian hill town of Dharamsala in Himachal Pradesh.